Cellhire, the world leader in short term communications solutions for major global events, has partnered with Mobile Tornado, the market leader in convergent, instant communications to deliver Push to Talk technology. Mobile Tornado’s Push to Talk technology allows the establishment of half-duplex voice links where one person speaks and the other listens, on a one to one or one to many basis. The technology uses traditional mobile phone networks allowing instant two way conversations between individuals and groups at the touch of a button. Matt Bennett, Managing Director of Cellhire says, “We’re delighted to be able to offer this innovative technology to our customers. We think this will be incredibly useful for our customers especially during the busy summer we have ahead where traditional walkie-talkie frequencies are limited or unavailable”. The partnership with Cellhire makes this technology available as a fully serviced rental solution for major events and large-scale corporate use. Jeremy Fenn, Managing Director at Mobile Tornado said, “We are extremely proud and pleased to announce our partnership with Cellhire. Enterprises throughout the world are demanding ever-increasing efficiencies from their workforce and our Instant Communication solutions provide a more effective way to communicate”. Mobile Tornado’s solution delivers instant, efficient and effective communication and allows users to know the availability status of all the phones in their group. Cellhire have been offering rental solutions since 1987 and the new Push-To-Talk technology marries up with an existing fleet of smartphones, mobile phones, USB modems and mobile Wi-Fi hotspots. Mike Bowers, Senior Director of Health and Safety at People to People Ambassador Programs, shares his thoughts and experience on educational travel and how Cellhire and Vismo have helped to improve the organisation and safety of travellers. At People to People Ambassador Programs, technology plays a central role in our safety strategy, which is my sole focus as the organization’s senior director of health and safety — a position unique in the educational travel business. Indeed, technological advancements enhance safety on all of our programs, every travel day of the year. The intersection between technology and safety is familiar to me. After 29 years in the airline industry, you could say that safety and the tools that surround it are in my blood. In 2008, I joined People to People Ambassador Programs, and after four fantastic travel seasons, I applaud the organization for having the insight and vision to prioritize the health of our travelers. Every year, we send thousands of students across the world for life-changing adventures, and we do so safely. Soon after joining the company, I became fixated on knowing the location of every delegation around the globe at all times (a delegation is comprised of roughly 40 students, four or more leaders, and a manager). In 2008, each delegation was equipped with an international phone to call the program office in the event a problem surfaced. The vendor providing this service was Cellhire, based in Dallas, Texas. Cellhire is a collection of innovative partners that I have grown to love and respect over the years. I met with their team and laid out my dreams for tracking students around the world. By the spring of 2009, we were ready to launch the first iteration of a tracking device. That year we increased the number of phones on each delegation to two — as with any safety protocol, you always want to have a redundancy system. If one phone malfunctioned, we had a backup. That summer we implemented our new, tracking-capable phone on 78 delegations and the results were amazing. My computer screen looked like something out of a James Bond movie. Picture a spinning globe, with little flags crawling around each one of our destination countries, easily viewed in great detail. With the help of Google Earth, I could zoom within two feet of the delegation leader’s exact location at all times. The next year, we extended GPS equipped phones to every delegation. Each group had one Blackberry phone with the Find-Me application (the GPS feature) and one standard Nokia phone as a backup. In the event a student had to visit a medical clinic, the GPS phone always stayed with the delegation and the standard phone went with the leader who accompanied and stayed with the sick student. That season we even offered parents the option to rent one of these state-of-the-art phones for their student or pay a nominal fee and track their child’s delegation on the Internet using the leader’s phone, much like I was able to do in my office. Imagine the peace-of-mind that provided! Once you have something as cool as this, every year you want to make it even more impressive. Our company consistently evolves with the technology field. In 2011, Cellhire added a panic button to the phone. The leader or student carrying the phone can simply push a button and an alert call goes out to Cellhire, me, and a duty officer who is at the People to People Ambassador Program office 24 hours a day, seven days a week. In addition, once the button is pressed, the phone records 20 seconds of all sounds going on around the phone. This recording is then sent to the same three locations. Of course, each alert is validated with the delegation right away. In the event they can’t be reached, the recording can give us some insight into what may be happening. If the recording sounds like the delegation is in the middle of a limbo party and the button was pressed accidentally, our stress level might drop but we still make direct contact to clear the alert. In the event we hear sounds that suggest the person is in duress, we can immediately dispatch emergency services to the exact longitude and latitude where the phone is currently located. 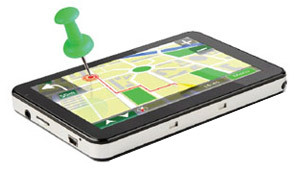 The GPS phone provides us with that information at the touch of a button. In 2011, Cellhire changed the name of the service from Find-Me to VISMO. VISMO stands for “visual-mobile” which better reflects their current product and its benefits. This season we asked ourselves, “How do we continue to stay on the cutting edge of safety technology?” The answer: web access and social media capabilities. We understand the current debate in the educational community on social media and its usage. But, we also know the value that it brings to our parents — who want to have the opportunity to share what their children are experiencing — and be able to feel some connection to their children who are far way. By embracing this new tool, teachers and leaders can post updates on the program’s Facebook page and parents can follow the exciting activities their kids are experiencing. In fact, we have decided to upgrade our phones and equip the back-up with GPS, unlimited data, and streaming internet as well. We envision our leaders making the phones available for those students who may not have access to a phone on program so they can send emails and Facebook messages. A true “value add” for our students and their families. A few years ago we introduced GEO fencing on our phones, but as of yet we haven’t fully employed the technology. At some point in the future, when every student has a trackable device on their person, whether a cell phone or a GPS locator built into their name tag, we will be able to set a GEO fence around the delegation. If any student walks outside of that pre-determined ring, the leader and program office would be notified. This feature would prevent the “Wanderers” as we call them from getting off track from the rest of the group. We can’t wait for what’s around the corner. At People to People Ambassador Programs, we will continue to maximize the incredible benefits of the latest technology to keep our students safe. Additionally, we will continue to share what we’ve learned to make all education travel as safe as it is enriching. I wish you all safe travels and a healthy life! Mike Bowers, Senior Director of Health and Safety at People to People Ambassador Programs, shares his thoughts and experience on educational travel and how Cellhire and Vismo have helped to improve the organisation and safety of travelers. The article below is written by Mike Bowers and can be found here.